A retired scientist with nearly 40 years of experience as a chemist shares his perspective on UFO activity – including some he witnessed in the 1970s in central Mississippi – in this new book released by Dog Ear Publishing. A farm in central Mississippi might seem like an unlikely place for UFO activity, but that’s just what the author and his family saw in the 1970s. Decades later, author B. Timothy Pennington began to research what he and his family experienced now that he was retired and not afraid of what speculation might do to his career as a scientist. In this new book he shares his observations and conclusions about UFOs, including some history about the field of UFO study. He draws on personal recollections and interviews with family members to supplement his own research into the phenomenon. 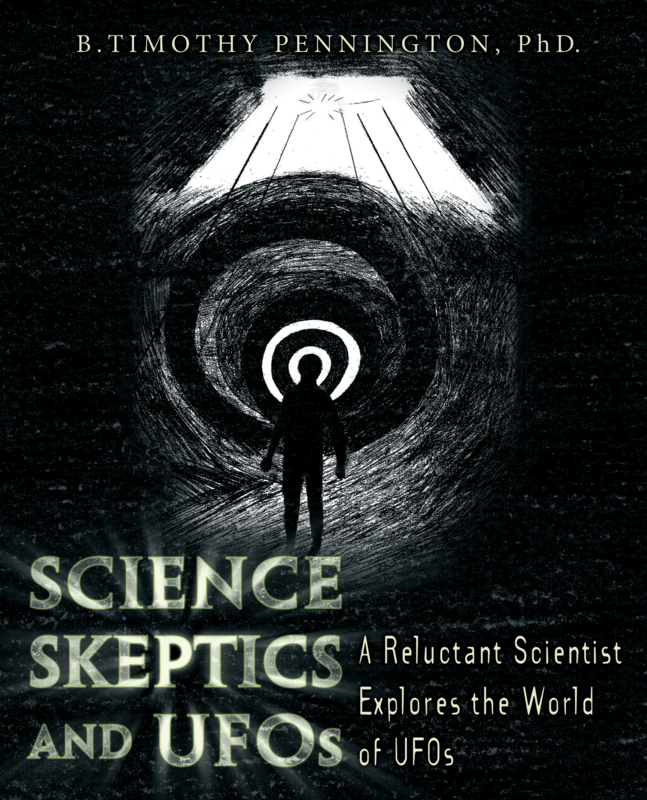 “Science, Skeptics and UFOS: A Reluctant Scientist Explores the World of UFOs” adds a unique voice to those who have reported seeing an unidentified flying object. The author writes that he found six widely reported Mississippi UFO cases, most of which he had been unaware of previously. Of the four well known Mississippi cases that occurred in the 1970s, each shared some aspects of what his family experienced. And his family had plenty of experiences. Pennington writes that the ongoing sightings – almost 40 of them – took place over more than a decade, and most were within six miles of the family farm in Smith County, Mississippi. The sightings began in the mid-1930s when his paternal grandmother and her children saw a shaft of light 30 to 40 feet in diameter coming from the sky while on an evening walk. There was no conceivable source for the light as the area didn’t have electricity until after World War II and helicopters with spotlights were decades away. Since a sighting in the early1980s, there had been a lapse of over 25 years before the sightings resumed in 2011. The sightings ranged over a period of nearly 80 years and four generations after a spectacular set of sightings occurred in the summer of 2013. In the 1970s, the author himself saw a silent white light in the sky repeatedly flying back and forth between two hovering lights. Other relatives were startled by a large object with bright lights noiselessly hovering over them as it blocked out the nighttime sky. Family members saw numerous instances of a light at low altitude slowly crossing and lighting up a field, a flying saucer and series of lights at a community dump, a light that seemed to follow someone’s car, and there was even an account of an abduction. Pennington examines the scientific and skeptical points of view and freely explores alternative explanations for the sightings ranging from high-tech military aircraft to the tectonic strain theory as well as ball lightning, skyhook balloons, the auto-kinetic effect, and psychological causes. Charts, illustrations, and statistical analysis add up to one conclusion for Pennington: Millions of people on our planet have witnessed UFO phenomena, which are real and unexplained, – and the phenomena continue unabated while most of the scientific establishment looks the other way when someone dares to say U-F-O. Author B. Timothy Pennington, a member of the American Chemical Society for more than 35 years, has 21 U.S. patents as an inventor and co-inventor. He spent 30 years working in the chemical industry near Lake Charles, La., after teaching and writing scripts for chemistry videotapes as part of a National Science Foundation grant. Pennington has seven publications in scientific journals and two trade industry publications. He earned his Ph.D. in chemistry from the University of Southern Mississippi and spent two years of postdoctoral research at the USDA Eastern Regional Research Center near Philadelphia and was a Robert A. Welsh postdoctoral research fellow at the University of Texas at Arlington before teaching at Navarro College. He and his wife, Esther, have three adult daughters and live in Sulphur, La. For additional information, please visit www.ufosbtpenn.com.